A rose by any other name would smell as sweet, a phrase popularized by Shakespeare’s play Romeo and Juliet, where Juliet argues that it shouldn’t matter if her lover is from the rival Montague family; and that Romeo should be judged on his own merits. 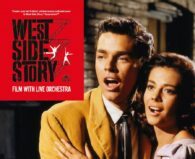 Then in 1961, a modern-day film educed a similar theme but this time tensions were between a white American gang (the Jets) and a Puerto Rican gang (the Sharks, from the Upper West Side of Manhattan), fueled this time by love between Riff and Maria. Fast forward to today, where we have a love affair between opioid abusers and heroin, laced with unanticipated potent illicit fentanyl derivatives – except this time, while the chemical families share similarities, the result is imminent death by unsuspecting heroin abusers. Unlike Romeo and Juliet or West Side Story, politicians, lawmakers, and journalist watching this film unwind are not grasping the message. It’s mind boggling to me that people are dying all around us from imported illicitly manufactured FenTanYl DERIVATIVES. I type in this fashion to sensitize readers to the fact that illegally imported DERIVATIVES are NOT synonymous with legitimate prescription fentanyl, and in fact, prescription fentanyl is on the bottom of the list as causing opioids deaths, as seen HERE.1 This week there were countless anti-opioid zealots spewing rhetoric on various mainstream media platforms (just Google it) regarding newly FDA approved Dsuvia (sufentanil sublingual), intended for medical emergencies, where oral administration is not a viable option, and IV access is not immediately feasible or medically desirable. See New Opioid 10 Times Stronger Than Fentanyl Approved Despite Abuse Concerns. Opioid medications have been under heavy scrutiny over the past several years due to their associated risks of dependence, addiction, abuse, and death. The intense media coverage surrounding the ongoing opioid epidemic as well as the 2016 CDC Guideline for Prescribing Opioids for Chronic Pain continue fuel this scrutiny and cast opioids in a negative light. Irrespective, opioid prescribing has been on a steady decline as providers move to alternative analgesic options.4 While the number of prescribed opioids continues to drop, opioid-related deaths continue to rise.5 This divergence suggests that opioids largely responsible for overdose and death may not be coming from legitimate medical sources. Significant contributors to the stunning number of opioid-related fatalities are the illicit products being used recreationally.5 Illicit fentanyl and its derivatives are used either alone or in combination with other agents, such as heroin and cocaine seen this week in the Mac Miller incident. CDC opioid overdose reports continue to highlight the detrimental impact of opioids yet fail to clearly distinguish the agents driving the alarming number of fatalities. These reports have morphed the word “fentanyl” into an umbrella term used to encompass not only the FDA-approved medication fentanyl, but its pharmaceutical and illicit derivatives, as well.6 Fentanyl derivatives drastically differ in their potency, duration of action, metabolism, and intended use more aptly described as misuse. While the pharmaceutical agents described above can undoubtedly be lethal when misused, they are not the primary contributors to the rise in opioid-related deaths. Illicit fentanyl and derivatives continue to be synthesized and distributed for recreational use. The United States Drug Enforcement Administration (DEA) reported a 117% increase in the identification of illicit fentanyl and its derivatives from seized drug evidence between 2016 and 2017.7 And without a doubt, some deaths that have previously been attributed to fentanyl in general, likely were from these derivatives; since they share the same chemical nucleus, forensic labs may not look for the specific illicit unless they knew what to look for. It has been challenging to study these fentanyl derivatives since they are continually being developed and produced through illegal means. The role and reputation of pharmaceutical fentanyl and the FDA-approved derivatives in pain management, including recently approved sublingual sufentanil, have been damaged and stigmatized partly due to the current chaotic approach by which opioid-related deaths are reported. By grouping pharmaceutical fentanyl products with illicit chemical derivatives in overdose reports, the medical community is being driven away from pharmaceutical fentanyl products that have a legitimate place in therapy. With the rise in opioid-related deaths caused by illicit fentanyl derivatives it is imperative to remind providers, journalists, politicians, and the public that not all fentanyl derivatives are created equal. Illicit fentanyl may smell the same to detection (aka sniffer) dogs, but we assure you, imminent death is far from sweet. As usual, comments are welcome! Mr. Baker is in his last year of studies at Western New England University in Springfield, MA. He has recently completed an Advanced Pharmacy Practice Experience (APPE) in chronic pain management at the Stratton Veterans Administration Medical Center in Albany, New York under the direction of Dr. Erica Wegrzyn. Dr. Persico is a graduate of Albany College of Pharmacy & Health Sciences and Union Graduate College. 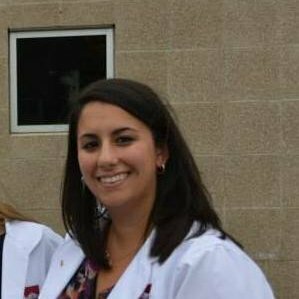 She has practiced as a community pharmacy manager and is currently a PGY1 Pharmacy Resident at the Stratton Veterans Administration Medical Center in Albany, New York. Information provided is the sole work of the authors, and the stated opinions or assertions do not reflect the opinions of employers, employee affiliates, or any pharmaceutical companies listed. It was not prepared as part of the authors’ duties as federal employees. Butler SF, Black RA, Cassidy TA, Dailey TM, Budman SH. Abuse risks and routes of administration of different prescription opioid compounds and formulations. Harm reduction journal. 2011 Dec;8(1):29. Bettinger JJ, Trotta ND, Fudin J. Wegrzyn EL, Schatman ME. Understanding the differences between pharmaceutical and illicit fentanyl and their analogues could save the opioid crisis. Practical Pain Management. 2018. July/August 8(5):59-67. Guy GP Jr, Zhang K, Bohm Mk, et al. Vital Signs: Changes in Opioid Prescribing in the United States, 2006-2015. MMWR Morb Mortal Wkly Rep. 2017;66(26):697-704. Schatman ME, Ziegler SJ. Pain management, prescription opioid mortality, and the CDC: is the devil in the data? J Pain Res. 2017; 10:2489-2595. The article referenced is by Butler SF et al. When I read this paper my understanding is that the graph they display is related to risk of abuse and not to deaths. Therefore, fentanyl would be at the bottom of the list causing abuse, not deaths. Am I reading this wrong? Prescription fentanyl is on the bottom of the list in terms of diversion, abuse, and therefore death. Illicit fentanyl derivatives are all diverted and sold on black market, are not the same as prescription fentanyl, potency and doses are variable with no controls, and yes, death from these illicit derivatives are very high and exceed that of any and all prescription opioids. Thanks for the prompt reply. I agree with your position and your concerns about illicit fentanyl and the article as a whole. I just disagree with the use of the Butler et al study to demonstrate prescription fentanyl is at the bottom of the list in terms of deaths. The exposure variable in their study involved the 7 opioid compounds and their outcome measure was abuse based on patient self-report. In the end, they report a relative risk of abuse (For which I agree, fentanyl is at the bottom) but this is much different from an outcome of/risk of death. As always, I appreciate what you do and the issues you bring to light. It’s seems as though people are continuously being fed a completely incorrect narrative about prescription fentanyl. Fentanyl Analogues and Carfentanil (elephant tranquilizer) being sent through Mexico and Canada from China, are being added to street drugs in amounts that are amazingly deadly to the unknowing users. Reported as “Opioid Overdoses”, while accurate, the pictures of prescription medication bottles in the background immediately paint a different story in the head of the recipient of the report. The media has a hand in increasing the misleading reports about prescription fentanyl. I’ve seen written and televised reports of fentanyl and its dangers to police officers, first responders, even police K-9s, as well as those inadvertently overdosing on heroin and many other street drugs laced with non-prescription analogues of fentanyl. Thank you Kim. You are spot on! Thank you for this excellent delineation between pharmaceutical grade fentanyl and illicit fentanyl. I have survived severe, chronic, intractable pain for the last 17 years only because of pharmaceutical fentanyl. I had reached the point of hopelessness after 11 years of experience with every pain treatment imaginable, from acupuncture to pain pills, when a Pain Management Specialist tried fentanyl patches and lozenges. The last 17 years have been tolerable, but I fear that the actions of the CMS and its granting of power to the insurance companies that will decide whether I can or, most likely, cannot continue this treatment will be the end of my tolerable life.